Whether it’s raising awareness or calling citizens to action, the Worlds Peace Makers and Peace Keepers have played a significant role in connecting people with a common goal of social change. The History of Peacemakers seeks to broaden the understanding of and possibilities for world peace. The Worlds Peace Makers Hall of Fame includes anthropologists, economists, historians, political scientists, sociologists, and other scholars and students of movements for peace and social justice, international and military affairs, transnational and cross-cultural analyses, and literary studies. 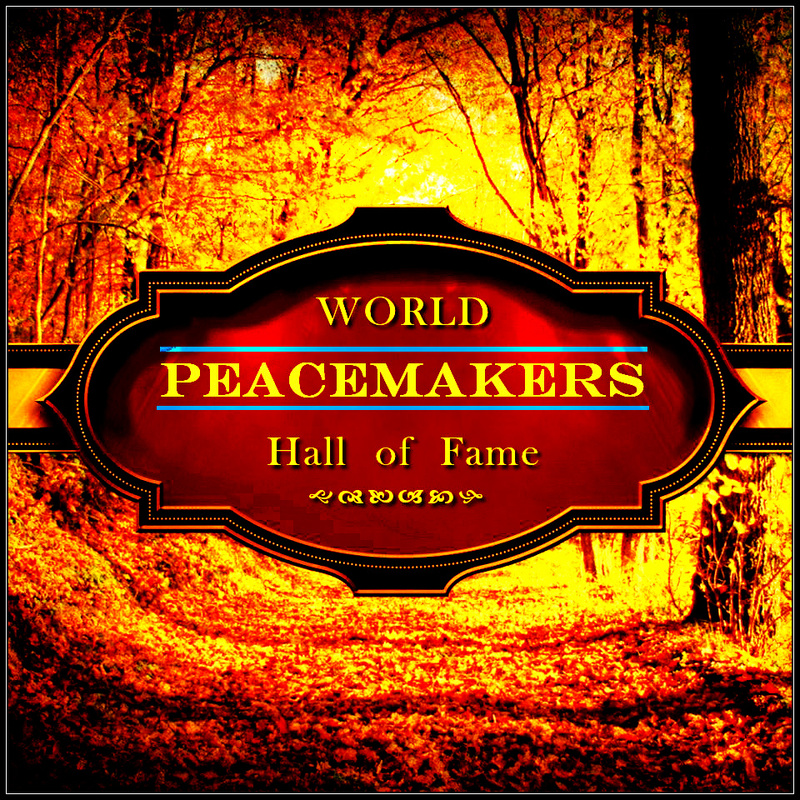 The Worlds Peace Makers Hall of Fame has little to do with mainstream social activism in the World today, rather it has much to do with the mainstream of human civilization as it has developed throughout the planet for thousands of years. Here is a timeline of some key people in peace activism, most of which resulted in a physical protest or directly affected change. Drawn from around the world, we are concerned with making peace research relevant to the scholarly disciplines, policy makers, and to their own societies. This is an place for people who seriously desire to contribute to building a global sustainable Culture of Peace for All Living Things.. Do you remember where you were at these moments in history? Stop by and your story with us in the comments below. During years of leadership and resistance against the British colonization of the Indian subcontinent, Mahatma Gandhi’s beliefs never wavered on nonviolence. Gandhi’s philosophy on nonviolence was his trademark: “Nonviolence is the greatest force at the disposal of mankind. It is mightier than the mightiest weapon of destruction devised by the ingenuity of man.” He stood firm in his beliefs on nonviolent protest (i.e., passive resistance including hunger strikes) and religious tolerance. When Hindus and Muslims committed acts of violence, whether against the ruling British (or against each other), he fasted until the fighting would cease. He was imprisoned many years for treason against the British Crown. Well-versed in yoga and meditation, he used his mind to not only endure, but conquer his imprisonment. Starved for extensive periods of food, drink and human companionship, he learned to stay alive and not give in. The British, in a struggle to hold on to a valuable colony, wanted him to publicly recant his beliefs in the cause of Indian freedom and cease his resistance efforts. The British finally relented (in 1947), not to a military victory, but over-overwhelmingly to a triumph of the human will. Subsequently with independence, the countries of India and Pakistan were born–with Gandhi emerging as a hero and father of a new Indian Nation. Nelson Mandela spent most of his life as a prisoner of the government of White-apartheid South Africa for acts of sabotage and treason (the usual reaction of an occupier to dissent). He often gazed at the ceiling of his cell and imagined tropical islands and women among the paint splotches and cracks. Such things occupied his mind and retained his sanity. Many hunger strikes and silent days blended into a 30-year ordeal of imprisonment. Times changed and the overriding bloodbath of whites vs. blacks never occurred as cooler heads on both sides prevailed. Mandela was released in 1990 and went on to assume the presidency of a new biracial republic. Mandela’s accomplishment of reconciling whites and blacks in one of history’s most cruelly divided nations is a phenomena of almost miraculous success. He was not a perfect man or a saint. But when he got behind the podium the World changed. Like Jesus, he brought the poor and disenfranchised the one thing they really needed–HOPE. We knew already that what he said was true–everyone knew deep inside that all races and ethnicity’s were equal in front of man and G-d. He taught us that to sustain racism was to deny our own intelligence, to deny humanity itself. And yes, the government stalked him and called him a communist, but he was a man beyond political systems and the facades of society. The assassin’s bullet could not quiet THE DREAM. But with freedom comes a responsibility to improve society and stamp out hatred. If King were alive today, he would be concerned about our world. How the minorities fight the wars that only the rich benefit from. How the last presidential election went down. The death of the middle class in America. I dreamed of Dr. King and saw tears in his eyes….. Killed by an assassin’s bullet, all can agree that the Middle East and the world need more great leaders like President Mohamed Anwar El- Sadat. Jimmy Carter Thirty-ninth president of the United States, served as president from January 20, 1977 to January 20, 1981. 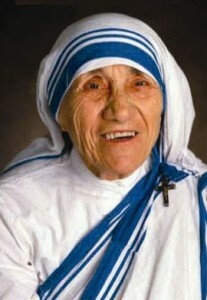 He championed human rights throughout the world. Significant foreign policy accomplishments of his administration included the Panama Canal treaties, the Camp David Accords, the treaty of peace between Egypt and Israel, the SALT II treaty with the Soviet Union, and the establishment of U.S. diplomatic relations with the Republic of China. In September 1978, Leonard Brezhnev, head of the Soviet Union, made a minor decision that would start a fundamental shift in the history of the world. Brezhnev’s careful compromise in appointing Mikhail Gorbachev to the governing Central Committee would eventually lead to the peaceful break-up of the Soviet Union, ending the Cold War. Gorbachev, unknown at the time, was very different from his “old guard” peers on the Committee. Gorbachev was young, energetic, and an idealist. The political structure of the Soviet Union was the result of the influence of Joseph Stalin. Stalin took the political system unleashed by the communist revolution of 1917 and turned it into a killing machine built on a political system of socialist conformity. Stalin’s firm hand suppressing the people survived his death. The breakup of the Soviet Union and the release of the Eastern Bloc countries were inevitable–given the economic failure of the Soviet system in the 1970’s and early 80’s. The Soviets had fallen far behind the West in economic development. Gorbachev had absolute power because he was the supreme leader of the Soviet Union and Communist Party. He had a great desire to reach the common people and have a dialogue with them. He realized that “Perestroika”, the process of change, must be started from above–but the common people must be taught about democracy. Gorbachev went through towns and villages carrying his message of change. He promoted idealists like himself to the higher levels of government. One of these idealists was Boris Yelsin who went on to initiate Russia into democracy and lead the early Russian Republic. The efforts of Lech Walesa, leader of Polish Solidarity (the early union movement in communist Poland), culminated in the achievement of the “Gdansk Agreement” (ratified October 9, 1980) which prepared the way for the Solidarity movement’s legalization. Walesa accomplished this through leadership, organizational abilities and a series of “illegal” labor strikes. However, the following December, the Solidarity movement was crushed by the communist Polish militia and Walesa (and others from the movement) were imprisoned. 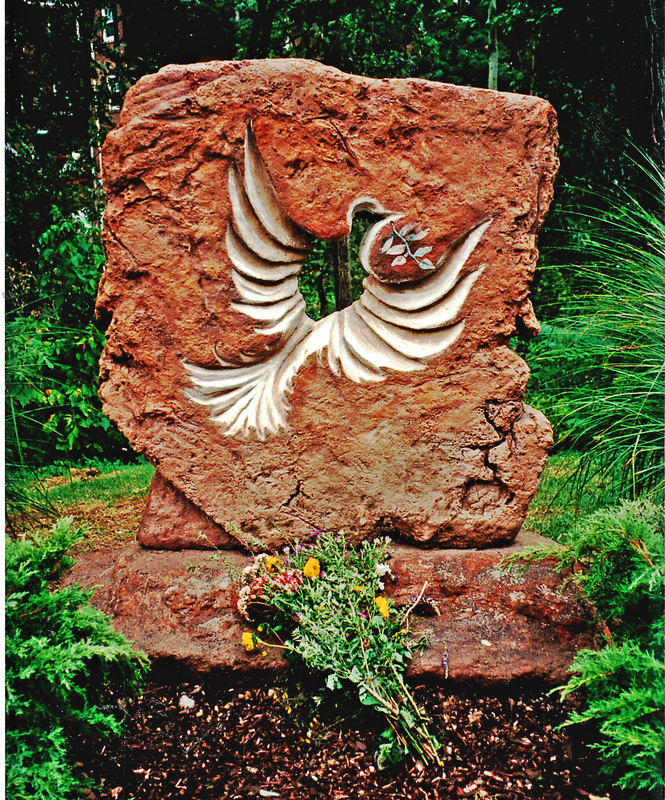 They are the builders of the “Worlds Children Peace Monument” (WCPM) and the “Great American Peace Trail”. The noted Cleveland husband and wife team are recognized for their pioneering work in the Environmental Art Movement to help create a more sustainable, equitable and peaceful World in modern times. 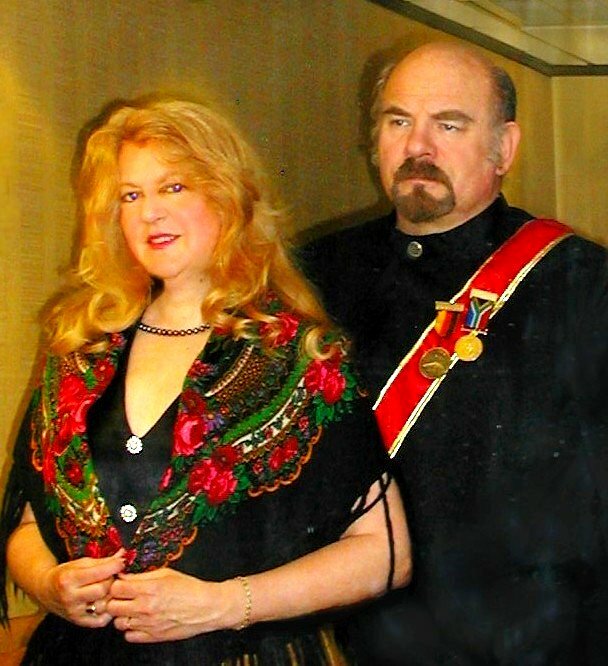 Through their international advocacy and educational activities promoting from a cultural perspective, the Jakupca’s have contributed to the revitalization of cultural and environmental diversity, and the strengthening of local communities and economies worldwide. In 1987, by founding the International Center for Environmental Arts (ICEA) at the historic ARK in Berea, they have combined their expertise in ecology, art and culture to really unravel the evolutionary dynamics of humanity. Their original ‘Theory of Iceality on Environmenta Arts’ , is the first fundamental change in developing a Culture of Peace in over 2000 years. The Theory underscores Nature’s view about the integrative universal process of freedom and is the first to connect not only Man, but all Living Things (Human, Plant and Wildlife Kingdoms) to achieving a sustainable global Culture of Peace.”.